We all tend to forget that our attics exist. They’re quiet, creepy, and hidden away in rarely seen rafters. But whether you remember it or not, your attic does exist, and it’s costing you money every second of every day. 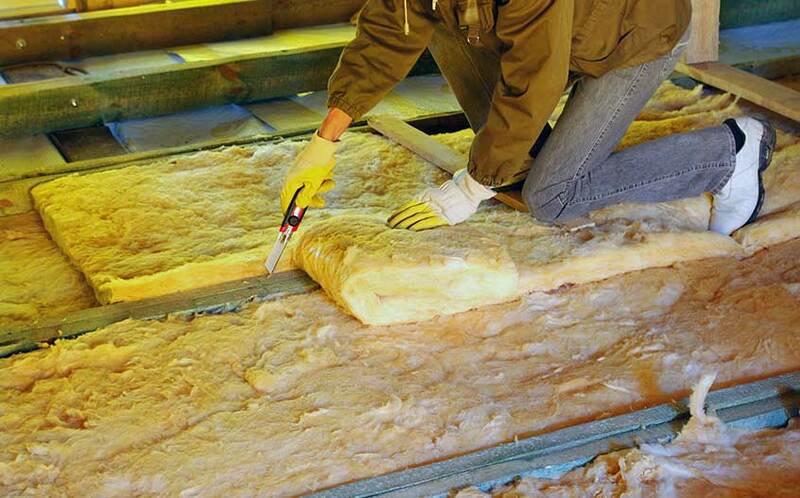 Now is the time to insulate your attic the right way. Why? We’ll give you five great reasons. Why does anyone make any financial investment? Because it makes them more money! But you want to be sure the return on that investment (ROI) is worthwhile. Good news: professional, high-quality, energy-efficient attic insulation is one of the most reliable and predictable investments in the whole home improvement industry. How much can you save? The exact number will depend on the shape and size of your house, your living habits, and the heating equipment you have, among other factors. But get this: the majority of people who have attic insulation installed save at least 30% on their monthly energy bill. In some cases, the savings go as high as a 50% reduction in your energy bill. You could be saving thousands of dollars a year… and not just this year, but each and every year to come! In fact, the North American Insulation Manufacturer’s Association estimates that nationwide, Americans are already saving $84 billion a year as a result of proper insulation! The longer you go without thoroughly insulating your house, the longer you pass up on those very real savings! The best day to take action on attic insulation in Denver, Colorado is this day. Colorado gets cold. Imagine knowing that whenever you open your front door, a cozy and ultra-comfortable home awaits you inside. Attics are a major source of heating and energy loss. Living with an inadequately insulated attic is like wearing a thin plastic beanie in the snow. It just isn’t much help. Attic insulation makes a real difference in home comfort and quality of life. You only have one life to live, so make the most of it! If green living is important to you and your family, you should know that insulating your attic has a direct environmental benefit on a global scale. The U.S. Department of Energy has called attic insulation one of the most important home improvement projects for energy efficiency. Here’s how it works: your home begins to consume less energy the moment your attic insulation is in place. That means your home is now asking less of your local power plant, which can then scale back its energy creation or divert those resources to offset excess consumption elsewhere. In term, this means the power plant reduces its byproduct waste, decreasing its pollution impact. Actually, attic insulation is a great example of just how big an impact a few people can have. If every family in your neighborhood insulated their attic, the impact on our local ecosystem would be substantial! There’s no better reason for promoting attic insulation in Denver, Colorado than its benefit for the world we share. A poorly insulated attic affects the roof above it. Without adequate insulation, the heat from your home escapes into the roof, melting the snow and ice on top of it. The resulting moisture and condensation slowly damages the roof. As you probably already know, repairing or replacing a roof is extremely expensive. If there is a single home maintenance cost you want to avoid, it’s major roof repair. But that’s not all. That same moisture can seep down into the attic itself, causing structural damage to your home. At the same time, the condensation wets whatever existing insulation you have (especially if it’s outdated or of poor quality). The insulation then becomes less effective, exacerbating the whole problem. ENERGY STAR classifies home attic insulation as a difficult do-it-yourself project. Mistakes are easy to make and come with costly consequences. But when you hire a professional service provider, you don’t have to lift a finger! You just pick up the phone and slash your energy bill immediately. Start saving money, your house, and the environment all at once. Contact REenergizeCO and ask about home attic insulation in Denver, Colorado.